The DCU Water Institute is delighted to partner with EW Technologies for a very interesting water-health related project. The aim of the project is carry out research into mapping out the water hardness levels throughout Ireland and Europe and to find any trends between water hardness levels in an area and the skin condition eczema. According to EU legislation Water Hardness is not harmful to human health however studies have shown that hardness levels have been linked to eczema. The Water Institutes highly qualified research team will work on finding previous research that has been conducted along with gathering data and trending results. EW Technologies has a huge depth of knowledge in the water sector and will provide a large amount of data on hardness levels throughout Europe. 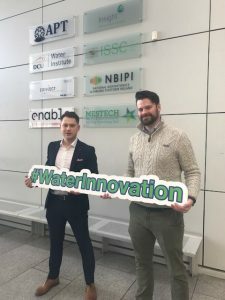 This collaboration comes as part of an Enterprise Ireland Innovation voucher allowing innovative research to take place on such a topical subject.